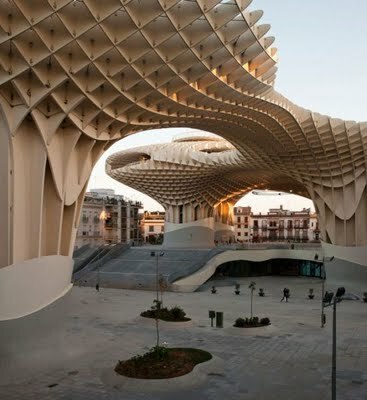 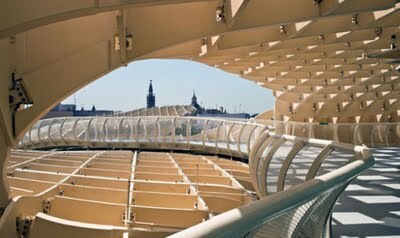 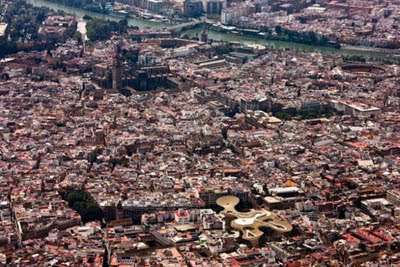 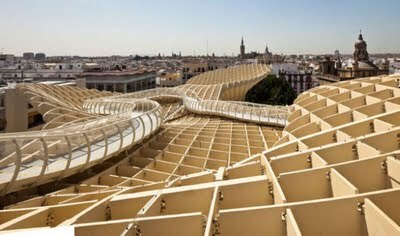 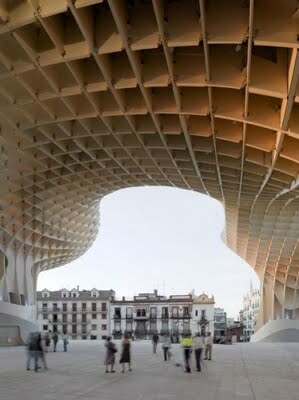 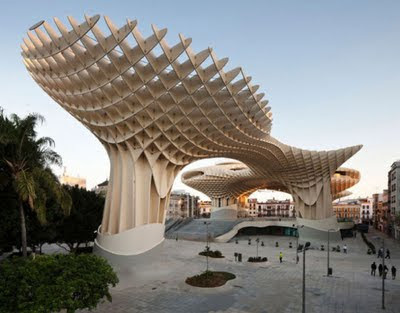 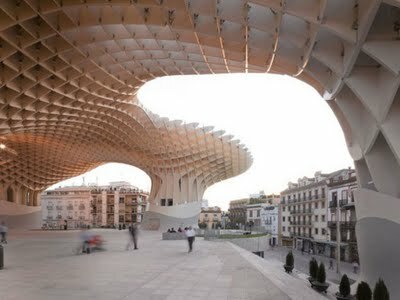 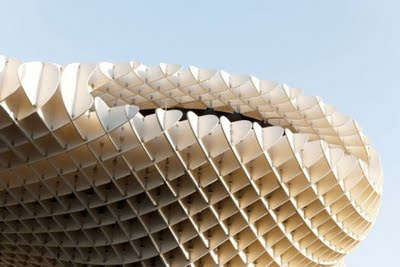 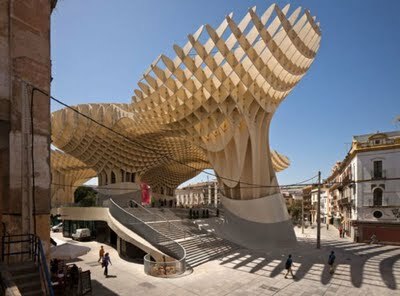 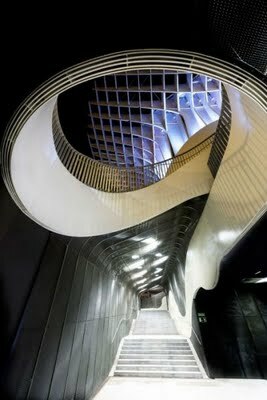 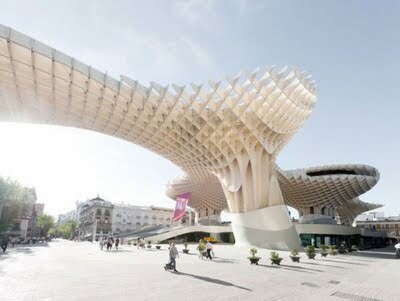 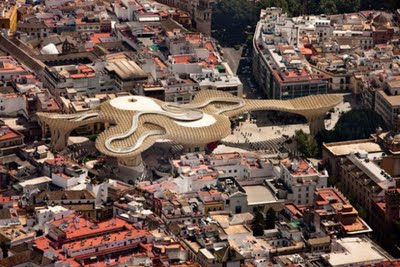 The Metropol Parasol in Seville, Spain is the largest wooden structure in the world. 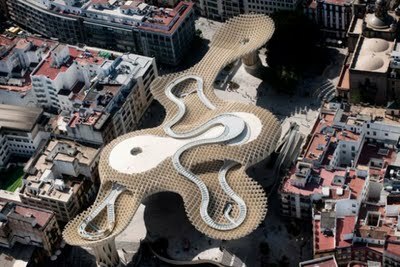 Designed by J. Mayer H. Architects, the monumental structure provides shade for Roman ruins, a museum, and businesses below its canopy, while pedestrians can walk along rooftop promenades. 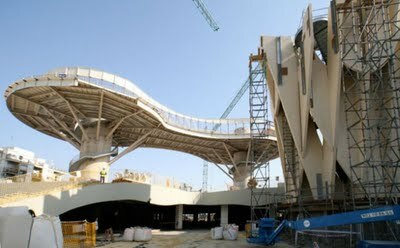 Its size is 150 x 70 meters.